It’s been a long wait since I ordered the whole range of Gotz Happy Kidz dolls 2012 but they have finally arrived. 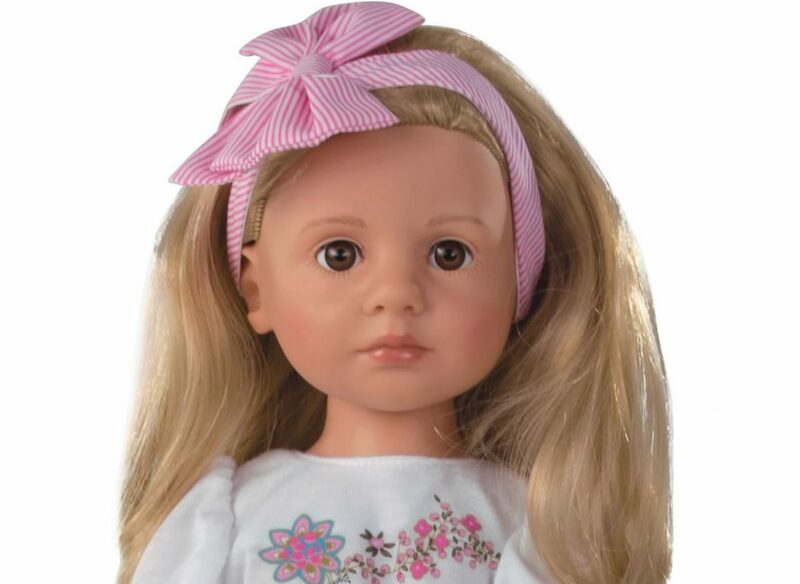 It’s always great to see a new range in a catalogue and Gotz have invested a great deal in the design and development of these lovely new children’s dolls. As from 2012 Happy Kidz dolls are all 50cm tall and have extra joints in their elbows and knees. For some the name may be a little confusing because Gotz have been using the name Happy Kidz for a few years now for various dolls, the last ones being Emily and Katie. Emily and Katie below have the all vinyl toddler bodies of the Kinderland and then Precious Day dolls, with articulated arms and swivel legs. Emily and Katie were beautifully dressed in 2011 (see pictures above) and as a result were very successful, which no doubt is the reason why Gotz have included them in the new 2012 Happy Kidz range. You can see all the Happy Kidz dolls from the 2012 range below. Although still included Katie and Emily have changed in that they have grown up! 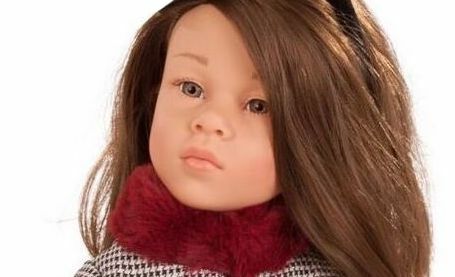 No longer are they toddler like dolls but instead they have the physique of 11 or 12 year old girls and their faces are also more beautiful. You’ll see that their outfits below are almost identical to the outfits they wore when smaller girls above. There are five dolls in the Happy Kidz range. From the left of the picture there is Katie who has blonde hair (with a fringe) and blue eyes, Clara has brown hair with brown eyes, Emily has blonde hair and brown eyes, Sophie has red hair with brown eyes and Anna has blonde hair with blue eyes (but no fringe). They are all dressed in casual clothes, all designed to cover the joints. So I was eager to open a box and remove a doll to to take a good look. They all have lovely faces. As said before Katie and Emily’s faces have just matured a little. 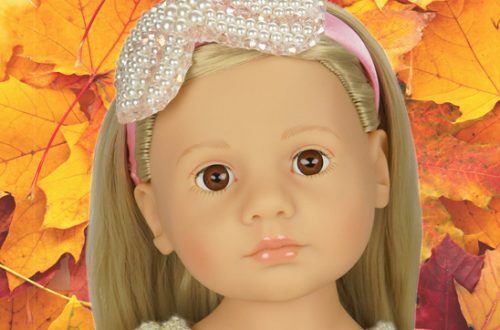 Anna, Clara and Sophie all share a new face mould with healthy looking full, rosy cheeks and large inset acrylic eyes with long lashes on top and painted lashes below. They have painted eyebrows and glossy pink painted lips. Their expression looks contented, friendly and inquisitive. The extra joints are enough to give a very natural look to the dolls. The arms can be bent but cannot fold to the body completely so holding something against the body will be difficult. The legs bend nicely and the dolls can sit down but the feet can’t stay placed on the floor. Rather than having an angular appearance the joints certainly soften the lines of the limbs. One thing the Happy Kidz dolls do really well is ride Hannah’s horse. They can comfortably put their feet in the stirrups, maintain a good seat and hold the reins correctly. The thing that struck me the most was actually the body sculpt. The Happy Kidz dolls look more grown up than Hannah. They have slightly wider shoulders and hips with a smaller waist but their tummies are still a little rounded. You can see a slight breast forming too. 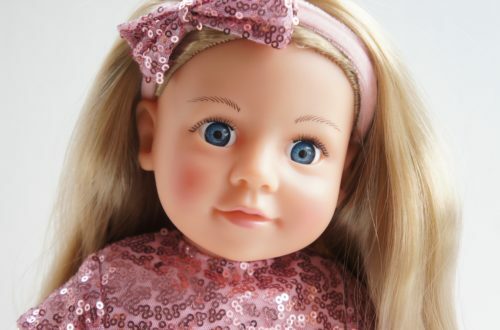 I would say that they have an excellent and very realistic body shape of an older girl and therefore will look just like their child owners as they grow up. If a little girl has a Hannah doll then one of the Happy Kidz dolls could be introduced later as a best friend or maybe a big sister. Or perhaps as with Corolle Les Cheries, a little girl may enjoy collecting them all. All the Gotz dolls clothes that fit Hannah also fit the Happy Kidz dolls so there is an awful lot to choose from! The joints should also make dressing the dolls a little easier too. My 8 year old doll loving daughter Rosie thought the dolls looked the most realistic of all the dolls at Petalina, and that was when the dolls were still in their boxes. I know she is going to really like giving her opinion on Sophie out of her box this evening.